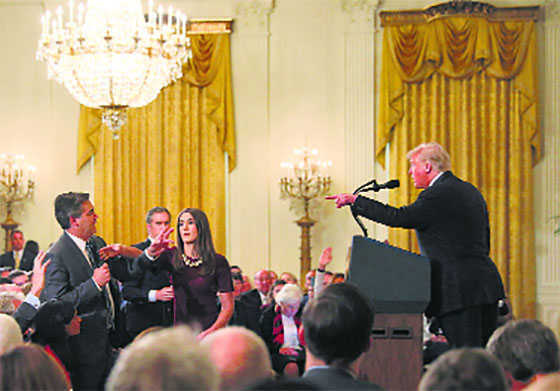 In an unprecedented move, the White House has suspended the credentials of a senior CNN journalist for his “disgusting and outrageous” behaviour, hours after he had a testy exchange with President Donald Trump during a marathon news conference. “No, not at all. I want them to come into the country. But they have to come in legally,” Trump said. That’s what the migrants are trying to do, they say they intend to seek asylum, he said.